Direct flights from Lisbon to Cayo Coco for the second consecutive summer confirmed the potential of Jardines del Rey to open to new markets, and the interest of Europeans for the Cuban tourist destinations. Lesner Medina Gomez, deputy of the ministry of tourism in the province, told the press that flights will have a weekly frequency on planes with more than 200 seats. 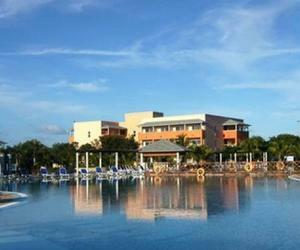 Vacationers are mainly housed in Meliá Cayo Guillermo, Cayo Coco Pestana and Melia Cayo Coco facilities; and also they may opt for excursions to Havana, Trinidad and Santa Clara. Jardines del Rey airport, in Cayo Coco during the summer stage will receive about 25 weekly flights, most notably those from Canada, Italy and Argentina.